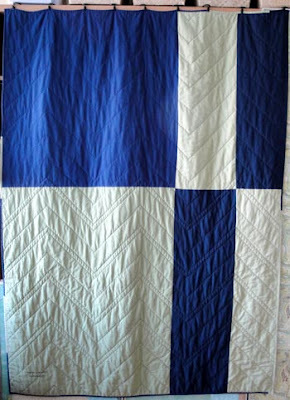 My friend's wedding quilt is finished, washed and ready to be mailed only one month after the actual wedding. front. picture taken at night. 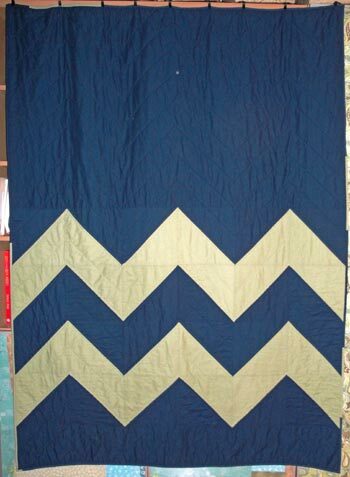 The zig zag quilting lines took forever. The lines are spaced 3 inches apart and marking them on the quilt gave me a workout from the constant squatting, bending over, and getting up to mark the next set of lines.